Dr. Christian Low grew up in Stockton, California where he attended St. Mary's High School and graduated in 2007. 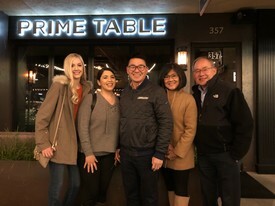 After completing his Bachelor of Science degree at the College of Idaho, majoring in biology, Dr. Low graduated from the University of the Pacific, Arthur A. Dugoni School of Dentistry. He completed a residency program in advanced general dentistry at the Union City Dental Care Clinic for one year. Dr. Low is passionate about all aspects of dentistry. He takes particular interest in advanced procedures learned from the residency program, such as implants, bone grafting, extractions and cosmetic dentistry. 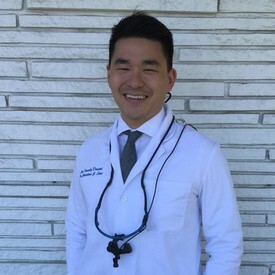 Dr. Low's kind and outgoing nature is well suited to serve those with any dental need. He provides a new professional approach to dentistry in Lodi and does so with an eagerness to learn and grow. Dr. Low is extremely excited to serve the beautiful city of Lodi. Erika Sapata is the office coordinator and is your representative when choosing and deciding treatment. A San Joaquin native, Erika is a licensed Registered Dental Assistant and has been at this office for over three years. Erika is the first person to greet you and is an absolutely integral part of making the office run smoothly. "I love the dental field because I am passionate about teeth. I love helping others and making sure everyone can feel positive and confident about their teeth!" Kylie Dill is the back office assistant in the dental procedure rooms. Her main objective is to make sure that you are feeling the absolute most comfort during your dental care. A Tracy native, Kylie has been assisting for nearly two years and graduated at the top of her class. In the years since, she has become even more advanced in her skills. "Dentistry is something that I hope everyone can feel good about. A great smile can be the difference between having high and low self-confidence, and we want to make sure everyone can feel the best about themselves!"